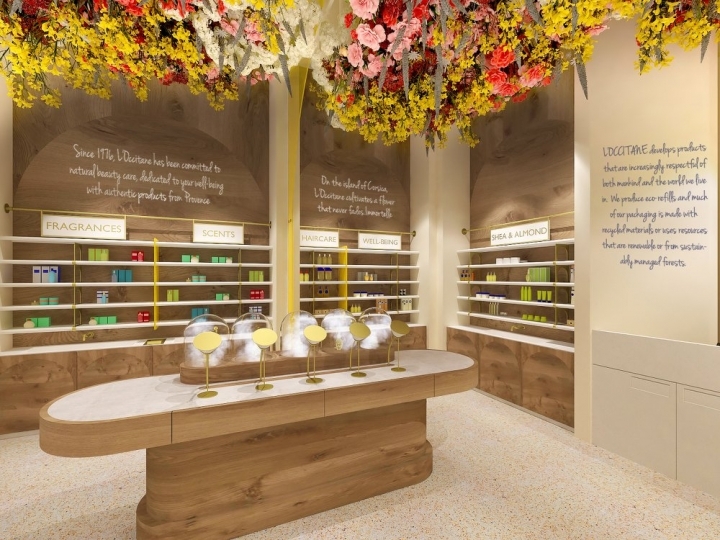 Mount Street's luxury credentials have been further boosted by the arrival of the French fashion brand Céline, which has opened a London flagship at number 103. 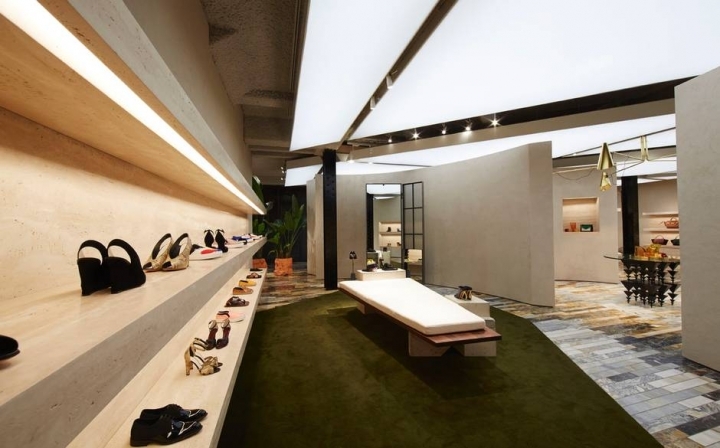 The store was designed by Phoebe Philo with the Céline team and has been designed to uphold the "respect for fine craftsmanship, rare raw materials, research and innovation the house is known for". 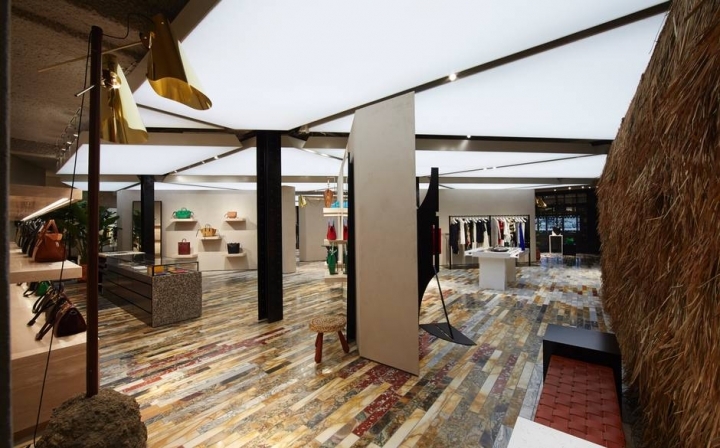 Behind the dark Iroko wood framed façade is a single storey offering 3,300 sq ft of retail space that is divided by walls clad in chic clear grey marmorino plaster. 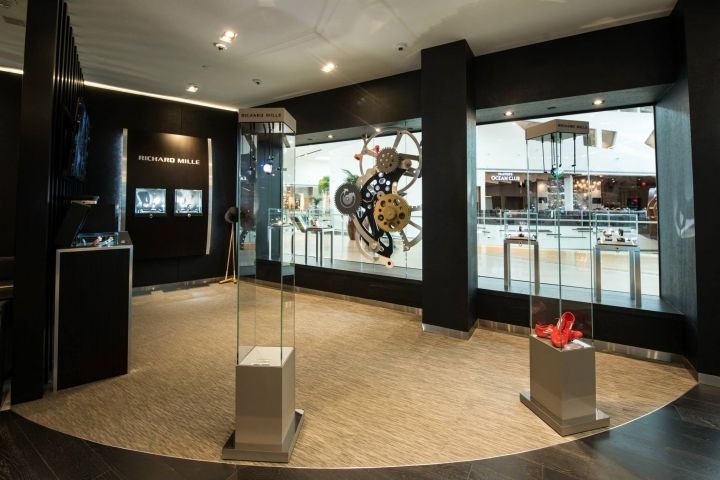 These are constructed around a central oval via which three distinct areas for bags, shoes and ready-to-wear can be accessed. 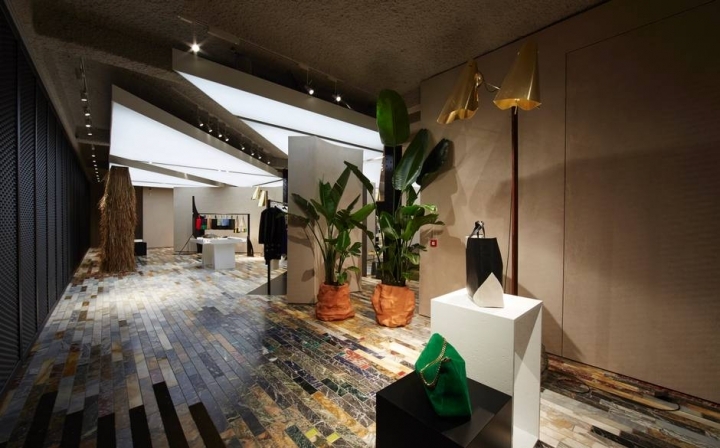 By far the most distinctive feature of the new store is the striking marble floor which calls to mind Spanish designer Patricia Urquiola’s Earthquake collection for marble company Budri. Inspired by parquetry it’s a veritable patchwork of 12 different types and colourations of marble inlaid with semi-precious stones. 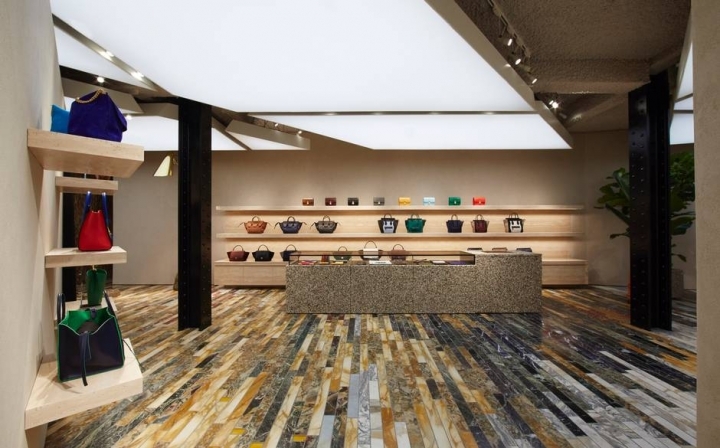 There are 6,000 tiles in total with plenty of rich tones lending warmth and the overall effect is to inject a sense of both classicism and modernity to the space. 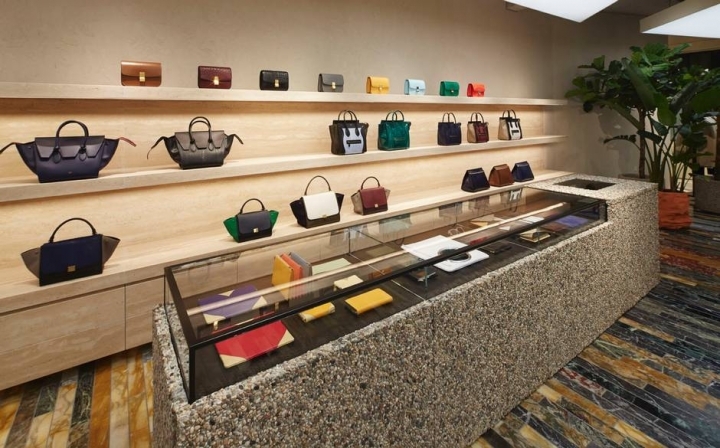 The Céline opening swiftly follows the launch of the Moynat store and later this year Christopher Kane and Roksanda Ilincic are slated to join Mount Street, making this street a serious luxury fashion destination that looks set to rival Bond Street.